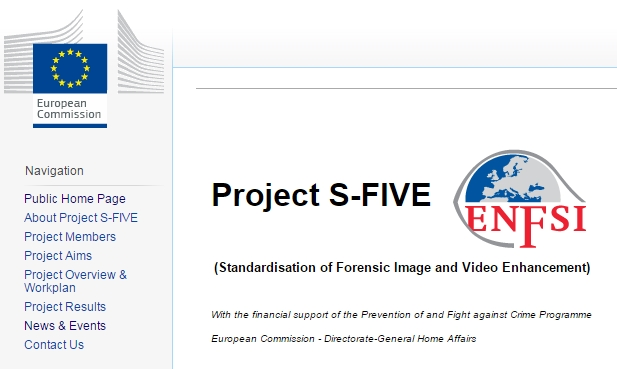 You may have heard of the S-FIVE project already: it is a very interesting project proposed by the ENFSI (European Network of Forensic Science Institutes) and funded by the European Commission which aims to define guidelines for image and video enhancement in the forensic community. This entry was posted in Announcements, Events on March 25, 2015 by Martino Jerian. This entry was posted in Announcements, Authenticate, FIVE on March 24, 2015 by Martino Jerian.